It’s been a fun season in our household. We survived promotional testing process and guess what? My husband ended up first on the list! I couldn’t be prouder. It’s been a long 12-year wait. Of course there are no current openings but this was still a big milestone. Of course this also means everyone’s favorite word in the fire service: training. Queue the long hours and fewer phone calls home. Last night was one of the first bedtime tuck-ins in a long time, and at that moment there was a fresh clean Friday slate in front of us and promises of a school lunch date with Daddy. Then we picked up that phone call that is the only one that comes after 10 PM. You’re needed at the department. He was torn. Once I convinced him we would all certainly survive another day, I still wasn’t sure his heart could bear this. But duty called and he was off before sun up. I heard her bare feet coming down the hallway first and then her steel-trap of a 7-year-old mind instantly remembered. Where’s Dad? He’s coming to my lunch at school today. I searched for the words and the look on my face that would soften the blow. I have some sad news. And the tears flowed. I hugged her and pulled her hair out of her face and kissed her wet cheeks and thought up a great new approach to make her feel better about all of this. The kind of logic I use all the time on myself but wasn’t sure would work for a broken-hearted 7-year-old. Hey! Did you know about Daddy’s new important job at the fire station? The tears slowed and she looked up with anticipation and a momentary break from the tears. He is learning to be a Lieutenant. He’ll get to ride in the front seat of the fire truck and be the one in charge when there is a fire. I could see the pride in her daddy glowing in her eyes. She couldn’t control the smile. I went on about how important that is and he needs to learn new things and there aren’t as many people who do that job so he has to be ready to go help people when it’s his turn a little more often. She enthusiastically shook her head in agreement. My daddy is super important. I thought we were good but the moment passed as quickly as it arrived. “But he promised he would go have lunch with me today!” Even stronger tears flowed. Sobs really. Gut wrenching sobs that made me question whether I should even tell him. And sobs that reminded me there are days I feel the exact same way. They are of course fewer and farther in between. But some days you do wish the fire department could give family time just a little break from the routine. We snuggled longer, calmed down and looked to the bright side of seeing Daddy and all our friends at the firehouse for family pizza night the next night. 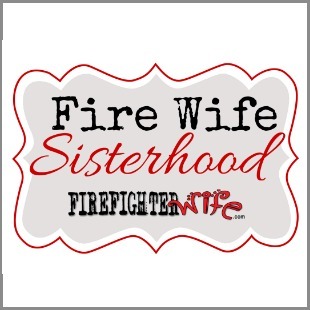 A promise of a visit to the firehouse, especially when her little trio of 6-7-8 year old firefighter’s daughters is going to be there, is heavy ammo I pull out in negotiations sometimes. The morning routine progressed, the school day passed, the bus brought them safely back home to me and not another word was mentioned of this missed lunch date. But Daddy. That man’s heart will be crushed to hear this. He called over lunch and of course he wanted to know how she took it. Because we share EVERYTHING in our marriage, I told him the truth, along with truckfuls of encouragement that we are all fine. Really. And again how proud we are that his hard work is paying off. And while disappointing, there are many other moments she gets to spend with him. And we’ve got a few days together coming up this week on our Spring Break Stay-cation. For those who are new to this life, this is just one scenario for how kids are effected when their parent is a firefighter. Do speak highly of the firefighter’s work and how important it is to the community. Speak positively to them and around them. Kids pick up on everything. So while venting to our favorite fire wife who totally gets it is healthy, little ears cannot process that in the same way. Be sure they know that just because they are away, doesn’t mean they aren’t thinking of them and missing them too. Tell them and show them how much they are missed. Have the firefighter who is away call home and ask about how events went while they are away. Take them to visit the station or show them photos of their locker with photos and pictures from home so they see they are still close to their parent when they are at the station. Have them create something for their parent to keep at the station (my husband has a collection of saved artwork in his locker thicker than all the school papers I’ve saved over the past 3 years). Give them something of their parents to keep as a reminder they are still close to their heart. A teddy bear, a t-shirt, a photo. Receive your child’s hurt and understand it. They are young enough they may not know what to do with those emotions which is scary in and of itself. Find some special routines when the firefighter parent is away. Something to help you stay connected or maybe something that only happens on a shift night. At this age, children do not really resent or dislike the firehouse even if they say those words. They still enjoy the atmosphere and visits. But they are starting to understand that they dislike the unpredictable schedules and disappointments it can bring. Watching our children’s hearts break over disappointments is a tough thing. It means they are growing up enough to intentionally give their love to someone else in words and actions, only to not feel that love returned in the way they need. 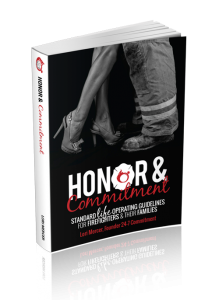 We all wish at some point we could keep them young and innocent and protected forever but then we’d miss out on all the good parts of growing up – like the sweet texts she sent him later that evening about seeing him the next day when we visit the firehouse. And how she learns to cycle the emotions more quickly as she matures. Remember 3 year old 2 hour tantrums which you couldn’t rationalize through? Even though I miss those chubby cheeks I am so glad we can skip the tantrum and just deal with an emotional but rationalizing child. It’s all part of the experience. Embrace it and make it work in your family. The opposite approach just adds more strain and tension for all. 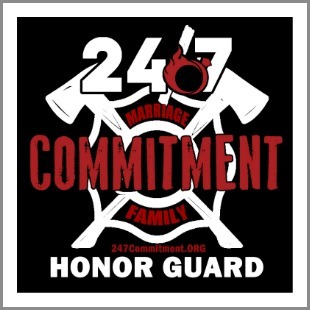 And the truth is, a firefighter mom or dad who can avoid hefty overtime, has way more quality waking hours with their child than the average parent working M-F 7 am – 7 pm. 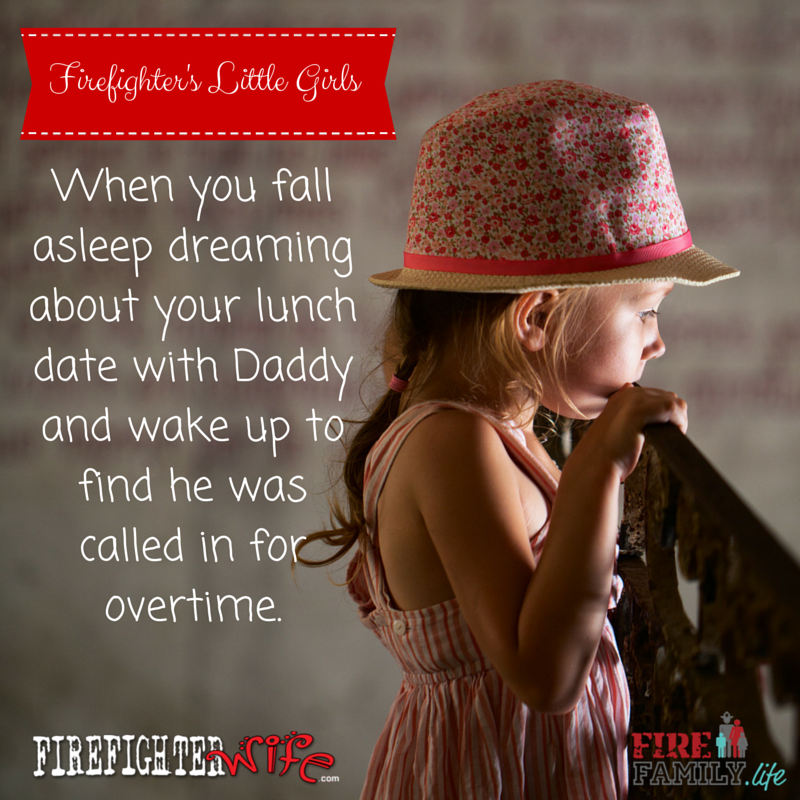 Which one of those parents can attend school lunches as often as our firefighter dad? Not many. Silver linings and happy endings. Come and meet other fire families who understand the fire life. Learn to understand your spouse on a deeper level. 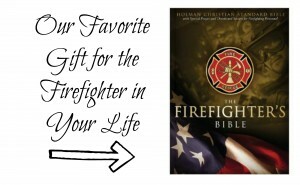 Find support on topics like PTSD, depression, marriage struggles, firefighter cancer, difficult calls, and more. Brag about your spouse and family, and make lifelong connections with others who “get it”. Also it is tiring feeling like a mediator or the person always breaking the bad news that daddy isn’t there. Our kids have never known any different but I find exhausting and our oldest is only three. Almost every shift… thank you for your encouragement this morning. We kept our special family time with our firefighter spontaneous! When he had time with us, we planned something special on the fly. We cherish all those times we played, laughed and lived in the moment. We learned to not plan everything out…life is to be lived in the moment. Our kids remember all our times together as so many smiles and fun times!